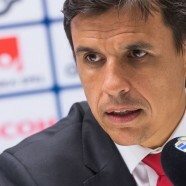 Chris Coleman has urged his players to start dreaming about potentially reaching the final of the Euro 2016 or even going on to win the tournament itself. His comments come after Wales managed to do the unthinkable by reaching the semifinals of the Euro 2016 following a 3-1 win over Belgium. Wales were not expected to reach the competition let alone reaching the semifinals of the European Championship. The team were ranked below 110th in the world only back in 2011 with manager Coleman facing numerous calls for being removed from the job. However, Wales Football Association kept its faith in the manager and the reward has been quite spectacular. Even though Belgium took the lead within the opening 15 minutes, Wales dominated throughout the game and ended up comfortably reaching the semifinals following a 3-1 win. Incidentally, their opponents in the semi-final will also be an unexpected team in the form of Portugal. The disastrous start to the tournament coupled with a very poor World Cup 2014 Month that Portugal were not seen as likely candidates to reach the semifinals. Yet, they have managed to get into the last four of the tournament without actually winning any game in 90 minutes. Wales, on the other hand, have been quite brilliant going forward and this will be their major strength. “Don’t be afraid to have dreams. Four years ago I was as far away from this as you could imagine. I’m enjoying it, it’s great and we deserve it. If you work hard enough and you’re not afraid to dream then you’re not afraid to fail. I’m not afraid to fail. Everybody fails. I have had more failures than I’ve had success,” said the manager. “We fought as hard as anyone and covered every blade of grass and we thoroughly deserve to be in the semi-final,” said Bale.